​Tottenham have lined up a move to sign contract rebel Ryan Sessegnon as the Fulham wide man continues to stall on a new contract at Craven Cottage. 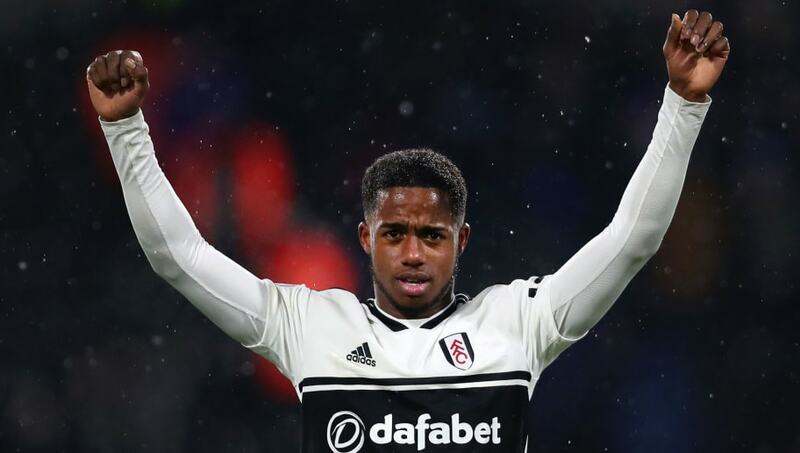 Sessegnon will see his current deal in west London expire at the end of next season and has been linked with a move to Premier League rivals Manchester United, though the 18-year-old is said to be keen on remaining in the capital. According to the ​Mirror, ​Fulham have been locked in talks with Sessegnon over a new contract for months, but as yet there has been no breakthrough in negotiations. The report suggests that ​Tottenham could take advantage, with a move this summer which would see the starlet loaned back to Fulham next season. Mauricio Pochettino's side have not signed a player in the previous two transfer windows, but a successful move for Sessegnon would see them beat off high-profile competition from both ​United and PSG - with the player's desire to remain in London set to work in Spurs' favour. Fulham are virtually doomed to relegation, with the Cottagers in a seemingly helpless position in the Premier League basement and 13 points adrift of safety with just eight games remaining this term. A potential deal with Tottenham could work to the advantage of both sides, as it would enable Fulham to keep hold of one of their star names to help fight their likely battle for promotion back to the Premier League next term, whilst also drawing a substantial transfer fee. Having established himself in the Premier League this term, it is unlikely that Sessegnon would be prepared to sign fresh terms with Fulham and commit his future to a side which is destined for the Championship, and a summer sale would ensure that they do not lose him for nothing. Moreover, Fulham owner Shahid Khan invested over £100m in player recruitment to build a squad capable of withstanding the rigours of Premier League football last summer. With the Cottagers' hopes of staying up virtually out of the question, recouping some of those funds with a big-money sale of one of their prize assets could prove vital to the club's financial stability in the face of relegation. Meanwhile, Sessegnon has been called up to the England U21 squad which will take on Poland and Germany during the international break next week.